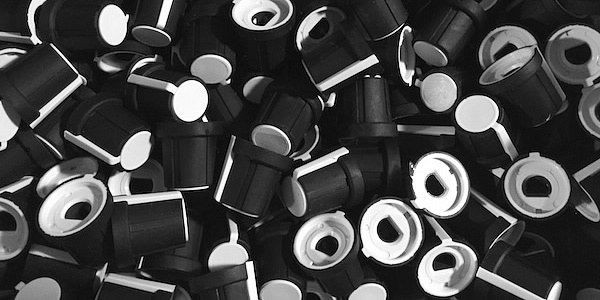 High-quality knobs for your DIY builds or going fully "grayscale" with your system. These knobs will fit most 6mm diameter D-shaft pots. The pointer is perpendicular to the flat part of the shaft (see photo above). Refer to the Rogan PT series data sheet for complete specs. All knobs have sold out. They are now available from Electrosmith, Synthcube, and Thonk in various sizes. PT-6PS knobs are only available from the Rogan website. 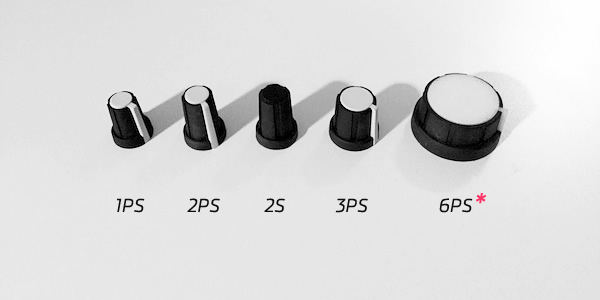 Orders for less than 10 knobs must include a panel or PCB.